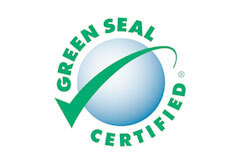 Inns of Monterey is committed to environmental sustainability and keeping our communities, hotels and planet green. We have initiated many policies and procedures - from recycling to water conservation - to ensure that our business and hotels continually support environmental stewardship. In a nutshell, here are 20 ways we make sure our hotels of Monterey, CA stay green. You will find recycling containers throughout the property - offices, meetings, public space, guestrooms, everywhere! Our chemical storage and mixing areas are secure and provide adequate drainage and ventilation, to help maintain indoor air quality. We reduce waste and reuse materials when possible. As an example, copiers and printers are set to duplex printing, and single-sided pages are reused for scratch pads and draft printing. We purchase items in bulk whenever possible. This reduces packaging and decreases carbon emissions related to shipping and transportation. We donate rather than discard. Usable leftover guest amenities are donated to local shelters. We've implemented an Integrated Pest Management program, which is an environmentally sensitive approach to controlling pests that reduces risk of harm to humans and natural habitats. We have reduced the use of disposable food service items. Disposable items are provided only for "to-go" requests, and employees must use re-usable cups and utensils. We are committed to purchasing the most energy efficient options possible upon replacing equipment (Energy Star rated). We've installed energy efficient lighting. 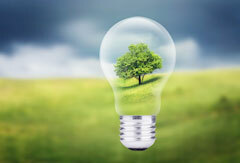 CFLs use 65%-75% less energy than incandescent bulbs, and last up to 10 times longer. We follow preventive maintenance schedules to monitor and track efficiency of HVAC and operating equipment. Timely calibration and adjustments save energy and money. We've installed water conserving plumbing fixtures, which use 30% less water than traditional fixtures. Plants are drought resistant, with watering procedures focused on conservation. Watering takes place only in the mornings or evenings, to reduce evaporation. We give guests the option to participate in our towel and linen reuse program, which saves water, chemical usage and energy. We train employees on the efficient use of laundry and dish cleaning machines, to save water and energy. We use environmentally friendly cleaning services and products (non-phosphate, nontoxic, and biodegradable, concentrated). We use products that have a low VOC content (volatile organic compounds), which helps maintain indoor air quality and preserve employee and guest health and well-being. We train employees to follow an Environmental Purchasing Policy, which ensures products are the greenest choices. We use paper products that contain post consumer recycled content, both writing and consumable paper. We select furnishings and equipment that are durable to allow for refinishing, reupholstering, refurbishing or recycling. We give preference to environmentally conscious vendors who reduce, reuse and take back packaging.